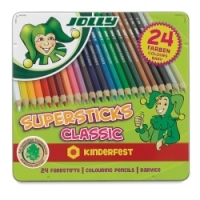 Enjoyed in classrooms, loved by art teachers, and cherished by kids, Jolly Supersticks delight everyone with their true colors and great coverage! Their strong 3.8 mm cores last longer than conventional colored pencils, and their sustainably harvested, all-natural 8 mm pine barrels contain no additives or preservatives. 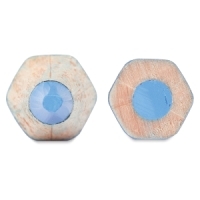 The cores are glued the entire length of the pencil to ensure they won't loosen over time. 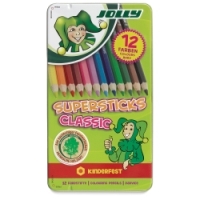 Most of the power at the Jolly factory is obtained from renewable hydroelectric and wind power. 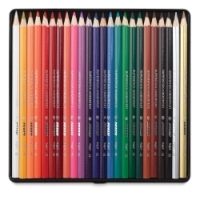 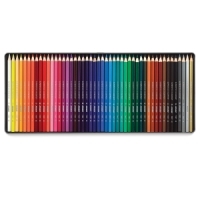 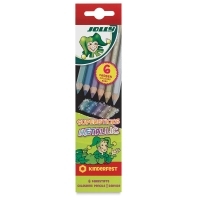 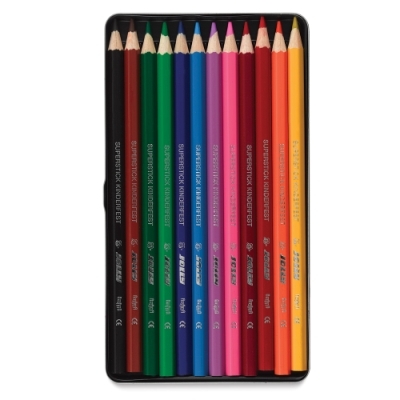 Jolly Supersticks Colored Pencils measure 7" (18 cm) long and are presharpened. 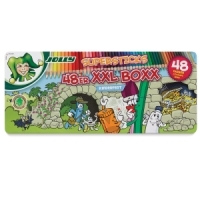 Sets of 12, 24, and 48 Supersticks are packaged in stylish tin boxes. 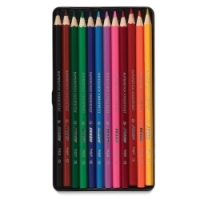 Class Pack of 288 — Perfect for classrooms, the Big Box contains 288 Supersticks Colored Pencils, 24 each of 12 colors (Light Yellow, Orange, Cherry Red, Carmine Red, Cyclamen, Pink, Light Blue, Dark Blue, Light Green, Dark Green, Medium Brown, and Black). 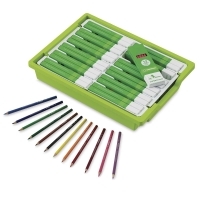 The easy to clean, stackable plastic box keeps pencils neat and organized.